Bolus is simple and easy to use application intended to help anyone using insulin pump. 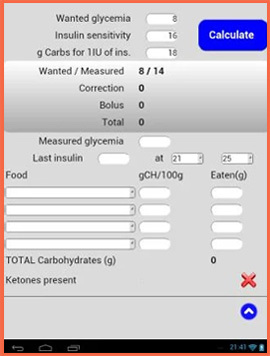 It calculates carbohydrates, bolus and correction values according to users input. User can make his own collection of groceries or meals with known carbohydrates per 100g values. It supports English, German, French, Russian, Croatian and Serbian languages. Bolus Cloud Storage service offers you storage on our server for data used in our free Bolus application. With registering with Bolus Cloud Storage you can easily backup your data or easily sync it between different devices on which you use Bolus application. It will save you a lot of your time. With one purchase you get storage place for 50 food items. For every next purchase, you get place for 50 food items more. When you do "Sync" in your Bolus application server will always keep 3 last syncs for backups, and one sync with most food items for "reserve backup" (eg. if you remove food items you didn't want to remove)! 2Checkout.com Inc. (Ohio, USA) is a payment facilitator for goods and services provided by Tuckdesign. 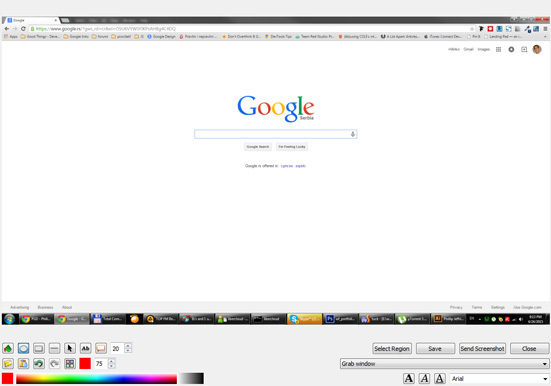 Screen Tool takes snapshot of whole screen, selected window or selected region on screen. After taking screenshot you can edit it directly on screen. Editor is very simple to use. Edited screenshot you can save on your computer or just send it directly to your Skype® friend(s). Editor allows you draw ellipses, rectangles, lines, arrowed lines, texts, all empty or filled in any color and font/font-style. You can also make undo and redo of editing and select from gallery of all screenshots and changes made. From version 1.2 you can also make annotations within bubbles! Screen Tool is very simple to use! It also can be extended by plugins. We can make plugin for your needs (contact us for details). Screen Tool is delivered in three versions (for Windows, Linux and Mac OSX) and you can download any or all of files. Once you buy Screen Tool you have lifetime updates! Your Screen Tool copy is for one user only. For multiple licenses, please contact us directly. Keybord shortcuts (you can choose which they will be) are available only in Windows version. For Linux version to be able to send screenshot you need Skype version at least 2.0.0.72. For Mac version to be able to send screenshot you need Skype version at least 2.8.0.722. This product uses the Skype API but is not endorsed, certified or otherwise approved in any way by Skype. If you already purchased Screen Tool enter your email below and we will email you your registration code. © Copyright 2005-2019 Tuck Design. All rights reserved.